Joint pain is a major issue nowadays reasons may be obesity to irregular lifestyle and improper eating habits. Improper use of the joints, overexertion, stress, diet, and lifestyle contribute to joint pain problem. Ayurveda identifies two major types of joint problems. It is associated with poorly-nourished joints or low bone density and overall weakness in the joints. 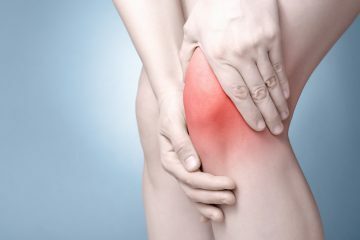 This kind of problem starts with discomfort and cracking sound in joints, and if not taken care of, results in gradual immobilization of the joints. If the bone is not getting the nourishment, it starts to degenerate. Vyana Vata imbalance and the weak absorption, circulation and metabolism create a drying effect on Shleshaka Kapha, that governs lubrication of the joints. When this happens, the joints are not lubricated properly and creates the discomfort, cracking sound, and diminished flexibility in joints. It is associated with a toxic overload in the joints and is the result of too many toxins in the body. As ama (the sticky, toxic waste product due to incomplete digestion) accumulates in the joint, it first creates stiffness and heaviness. If it stays there for a long time, the joint can become swollen and painful. This second type of joint problem is really a problem of ama (digestive toxins) in the joints and it creates a heavy and stiff feeling. Cold, humid weather can aggravate these symptoms. Cap Flexibility: Flexibility is a herbal formulation, which is very useful in the management of low bone density, osteoporosis, osteoarthritis and other diseases related to bones, teeth, joints and muscles. The herbal formulation helps in restoring bone mass, strengthening bones, joints and muscles, overcoming joint inflammation and relieving pain and swelling associated with joint diseases osteoarthritis and rheumatoid arthritis or especially after fractures and injuries. Dosage: 2 caps after breakfast and dinner with lukewarm water. 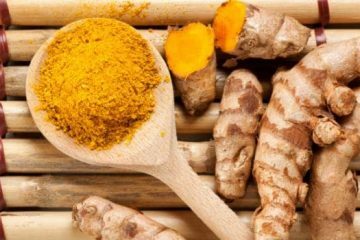 Cap Turmeric Formula: Turmeric formula having Turmeric extract with 95% curcuminoids. It is having anti-inflammatory and analgesic property. Supports healthy skeletal system i.e. bones, joints and muscles. Having immunomodulatory properties helps in autoimmune disorders like Rheumatoid arthritis. Cap Osteoseal: Osteoseal is a bone and teeth health supplement. Best supplement to cover calcium deficiency. Increases Bone Mineral Density in Osteoporosis. Enhances healing of fractured bones & improves cartilage regeneration. Provides calcium, phosphorus, vitamins & amino acids. Advised for lactating mothers, rheumatoid, osteoarthritis and other kinds of arthritis. Cap Flax Seed Oil: It provides omega 3 which has anti-inflammatory action, support joint health. It also helps in burning body fat and supports healthy skin and nails. It lowers the inflammation and keeps the joint healthy. It also improves strength and immunity. Warm, cooked and easily digestible food should be preferred. Omega 3 Fatty acids should be regularly taken like nuts, fish, flaxseed. Add millets to the diet, in the form of porridges, cheelas etc. as they are known to keep one warm. Eat fruits that are high in antioxidants like pomegranates, Apples, Apricots etc.